When I saw the menu options for this month's Love Me Beauty Box I was seriously excited, as there are four new brands featuring, three of which I have never tried before. Plus a Models Own nail varnish!! I don't think in all the beauty box review posts I've read I've seen Models Own in a beauty box before. 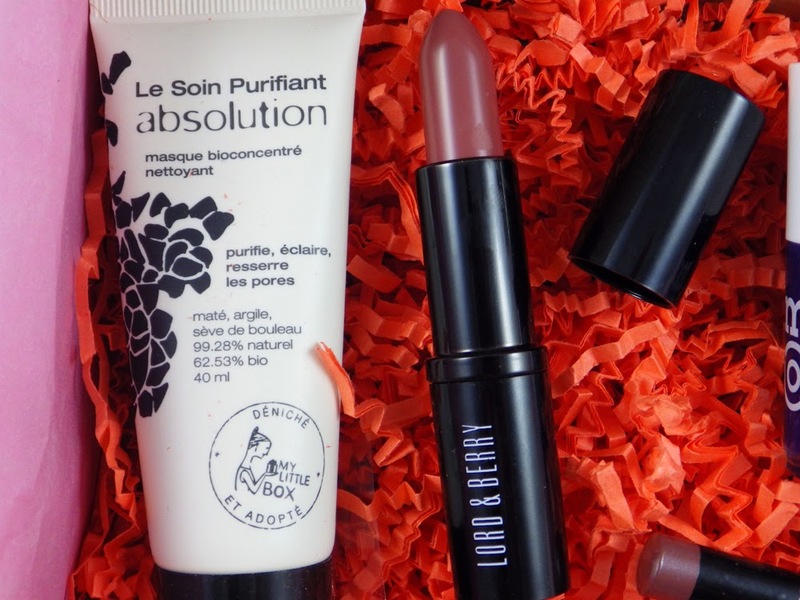 You will notice that there are six products in the box this month (four of these are full size and two are sample size) rather than the normal five; Lord and Berry have provided a full size lipstick worth £12.00 as a gesture of goodwill to all members. This is because many people had problems with the Lord and Berry products in last month's box, myself included - the Scuba Mascara seemed like it almost completely dried out. I think it's fantastic that Lord and Berry have acknowledged the issues and their gesture truly shows that they care about their customers. This month I went for Menu Two and here's what you can get if you choose this option! A skin renewing mask that rids skin of impurities while restoring radiance and vitality. Birch sap and white clay absorbs purities and tightens pores while soothing skin. A uniquely formulated crayon that doubles as an eyeliner for thick, precise lines as well as perfectly blended eyeshadow. An invigorating body cleanser which nourishes and softens all skin types. Enriched with Vitamin E, wheat proteins and natural English honey. Designed for passion and fun, this perfect rich bright blue has a lovely matte finish. This lip gloss provides full sensual lips with a trace of colour and wonderful shine. Hyaluronic Filling Spheres maintain the hydration level of the lips and "cushion" little wrinkles from beneath. Rich and silky, the hydrating formula is enriched with macadamia oil and waterlily extracts to keep your lips in pristine condition. 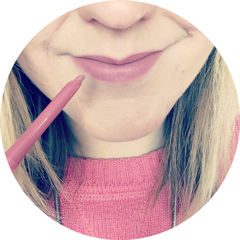 So far I have tried the Art Deco Hydra Lip Booster, which is possibly the smoothest and most moisturising lip gloss I have tried to date. The shade Wood Rose is dusky pink in colour and contains very subtle glitter particles; the colour isn't very pigmented but it does give you seriously shiny lips! I have given the Jelly Pong Pong 2-in-1 Liner/Shadow a quick swatch and the bronze colour is lovely. I expect I'll use it mostly as an eyeliner paired with neutral eyeshadows. I'm really looking forward to trying the Absolution mask and getting the Models Own nail varnish on my nails pronto! In total Menu Two is worth a £49.70 not including the Lord and Berry lipstick and £61.70 including. Considering the box costs just £10.00 plus £2.95 postage, you are really getting your money's worth here. The box can be bought individually every month or you can purchase pre-paid subscriptions plans for 3, 6 and 12 months. To check out the Love Me Beauty website, please click here. 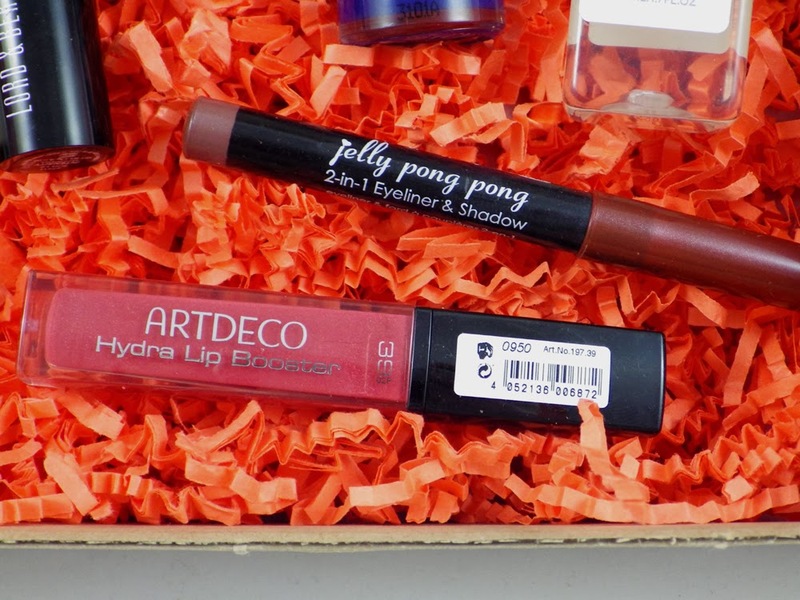 This is one box where I think I'd get use out of most of the products, I'm tempted to subscribe! I love the menu idea and that you received 4 full size products, eeep! The polish is such a yummy colour.